Drew Gilpin Faust’s book, This Republic of Suffering, explores the changing views of death during the Civil War. One chapter titled “Believing and Doubting” specifically discusses how soldiers and civilians either clung to or rejected religion to help them cope with widespread death and devastation. [i] One reverend’s journal provides a small glimpse of how religion played a role in camp life and on the battlefield for many soldiers. While a chaplain with a desire to encourage warfare might seem a little out of place, religious leaders were actively involved from start to finish of the Civil War. Nineteenth century America was a highly religious place, and both sides of the conflict believed that their cause was sanctioned by God. [iv] Alexander Betts kept a daily journal during his time serving as a regimental chaplain in the Confederate Army. His writings, though limited, provide insight into the work of a southern military religious leader during a brutal time in United States history. 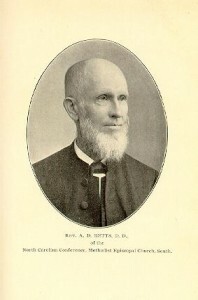 Alexander Betts was a preacher for the Methodist Episcopal Church. Officers of the 30th Regiment invited Betts to become their chaplain in 1861. He prayed for days before accepting the commission. [v] For the next four years, Betts stayed with the regiment, preaching, praying, teaching, and comforting. Some of his experiences relate how soldiers relied on God during the war. While Faust’s research provides an overall view of how widespread death in the Civil War affected many religious views, Chaplain Alexander Betts’ journal contains individual experiences of how religion played an active role in many soldiers’ lives. These soldiers turned to faith and religion to find comfort and peace during a time of violence and bloodshed. 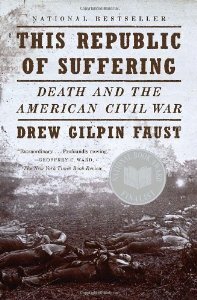 [i]Drew Gilpin Faust, This Republic of Suffering: Death and the American Civil War, (New York: Vintage Books, 2008). [ii] Alexander Davis Betts, Experience of a Confederate Chaplain, [Greensville (? ), SC: 190? ], University of North Carolina at Chapel Hill, Documenting the American South, http://docsouth.unc.edu/fpn/betts/betts.html, (accessed February 25, 2014). Anna Bistline has a BA in History from Utah State University. She plans to attend graduate school in the fall where she wants to explore her interests in Civil War soldiers and memory.